The Australian & New Zealand standards are a Constant source of information and detail appropriate eyewear test methods, markings and packaging requirements. AS/NZS standards also give you that Quality Assurance that your products meet and exceed the strenuous requirement set out by these standards. Things to consider: It is a good exercise to introduce an Eyewear safety program in your workplace where workers are exposed to risks. The following are recognized forms of risk which should be taken into consideration: Using grinding machines, wood working, hammering, wire and brick cutting, chemical processing, welding, cutting, metal casting, coal handling, road work, timber sanding, oil and gas work, outdoors and more. Each individual hazard can approach in a different form from flying particles, liquid splashes, airborne dusts, sun glare, glare from visible radiation, non-ionizing radiation. There are various forms of protection to prevent injury. These include engineering controls, Fixed or mobile. 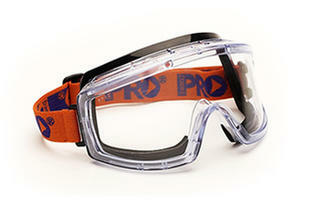 Or PPE which includes: Impact resistant Safety Glasses, goggles, face shields, welding shields & Lens. Eye protectors should be allocated on an individual basis where ever practical to ensure the correct fit and protection for the correct environment and wearer. All face sizes are different. Extra care should be taken for storage and protection of your safety eye wear protectors. This prolongs the life and ensures correct protection. Eye protectors should be replaced when signs of defect begin to appear. This can be accidental damage or general time and usage wear and tear. When glasses need replacement you can be sure that your glasses have exceeded your expectations. Using the correct protection could not only save your sight but your life also! 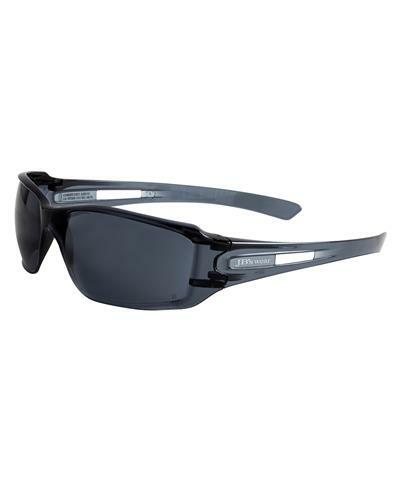 • AS/NZS 1337:1992 – Eye protectors for industrial applications. 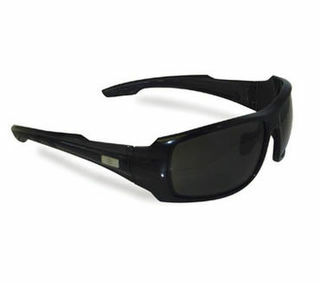 • AS/NZS 1337.4:2004 – Personal eye protection filters & Eye protectors against laser radiation. • AS/NZS 1338.1:1992 – Filters for eye protectors- Protectors against radiation generated welding & allied operations. • AS/NZS 1338.2:1992 – Filters for eye protectors – Protection against ultraviolet radiation. • AS/NZS 1338.3:1992 - Filters for eye protector – Protection against infra-red radiation. 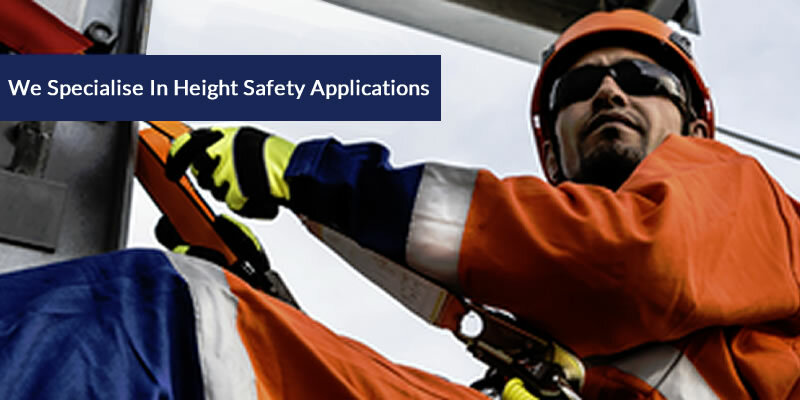 Selecting the right Product: This catalogue and Extensive product range has been developed with your safety in mind. 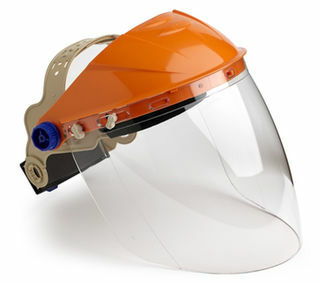 You can be assured there will be an eye protector to meet your need with our comprehensive range of safety Glasses, Goggles, Face Shields & Visors. All products in this catalogue meet the demands of today’s strict health & safety standards. All products are tested and exceed the requirements for AS/NZS 1337:19952 as set out above. As always comfort is number 1. The more comfortable you are the longer you can wear your protective product and the safer you are. 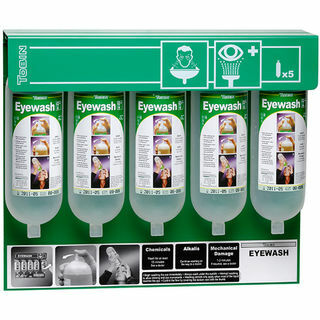 Clear For indoor use where protection is required as common hazards. Smoke For Outdoor use where bright sunlight and glare can cause user fatigue. Amber Indoor use or Can be used in low light Outdoor conditions. Lens provides Hi Visibility and good contrast in low light conditions. Silver Mirror High performance lens for indoors or outdoors to reduce artificial or sunlight glare and reduce eye fatigue. Shade#5 Welding filter lens provides Infra red (IR) and Ultra Violet (UV) protection in gas welding applications. 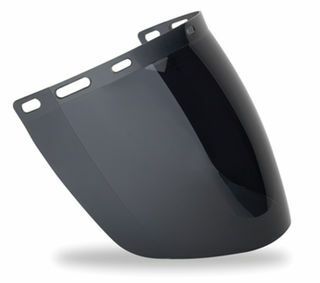 Blue Mirror These lenses provide (IR) infra red & UV Ultra violet protection. These are typically used in Foundries, Furnaces, glass blowing and other High Heat & Glare applications. Brown For Indoor or Outdoor use, also protects against UV Ultra violet. Enhances contrast with indoor light. Reduces glare and sunlight in outdoor applications, ideal for driving (TSR) Traffic Signal Recognition. Blue Indoor use or Can be used in low light conditions. Lens provides Hi Visibility and good contrast in low light conditions.